Since Baptists began in the seventeenth century, they have cherished and tried to live by certain principles that characterize the "Baptist Vision." 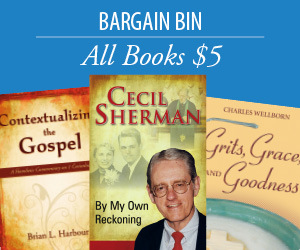 While the different dimensions of the multifaceted Baptist perspective have been analyzed, theologized, debated, and threatened, they have never before been "proclaimed" in a series of books. 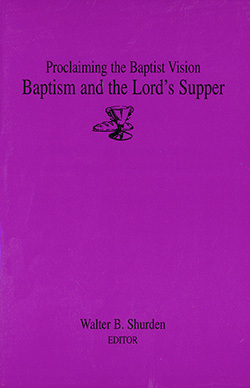 This fifth volume in the series contains essays that focus on the ordinances of the Baptist Church— Baptism and the Lord's Supper. Contributors: John E. Boyd, Kenneth Chafin, Thomas Clifton, Paul Duke, Bernadette Glover-Williams, Richard Groves, Fisher Humphreys, Bill J. Leonard, George Mason, Julie Pennington-Russell, Charles E. Poole, R. Wayne Stacy, and Todd Wilson.